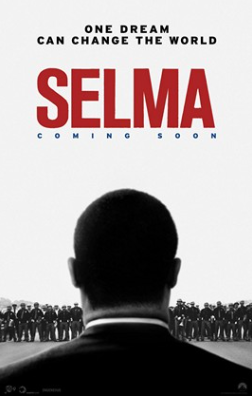 Cast: David Oyelowo (Martin Luther King, Jr.), Oprah Winfrey (Annie Lee Cooper), Carmen Ejogo (Coretta Scott King), Lorraine Toussaint (Amelia Boynton), Giovanni Ribisi (Lee C. White), Tim Roth (George Wallace), Cuba Gooding, Jr. (Fred Gray), Common (James Bevel), Tom Wilkinson (President Lyndon B. Johnson), Tessa Thompson (Diane Nash), Dylan Baker (J. Edgar Hoover), Wendell Pierce (Reverend Hosea Williams), Niecy Nash (Richie Jean Jackson), Lakeith Stanfield (Jimmie Lee Jackson). Story: The film chronicles the tumultuous three-month period in 1965, when Dr. Martin Luther King, Jr. led a dangerous campaign to secure equal voting rights in the face of violent opposition. The epic march from Selma to Montgomery culminated in President Johnson signing the Voting Rights Act of 1965, one of the most significant victories for the civil rights movement. Source(s): AFI Fest. This entry was posted in Upcoming Films and tagged Ava DuVernay, Based On A True Story, Carmen Ejogo, Common, Cuba Gooding, David Oyelowo, Jr., Lorraine Toussaint, Martin Luther King, Oprah Winfrey, Wendell Pierce by blackcinemaconnection. Bookmark the permalink.